Outfit your kitchen crew with the right proper clothing to do their job well. Zanduco carries the chef jackets, shirts, and pants that your kitchen staff needs to be most comfortable in any type of establishment. 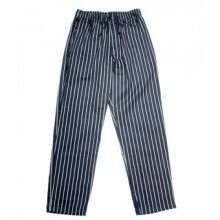 E-Z Fit cotton and poly-cotton blend pinstripe and cargo pants available in a variety of colours to choose from. Ensure that the uniform you have your staff wearing is the proper choice for your establishment. Whether you need pockets, poly-cotton blend, or all black, Zanduco has what you need. Ensure that your establishment is following the proper Health and Sanitation codes by making sure every kitchen staff member is wearing a chef hat and the proper apron. 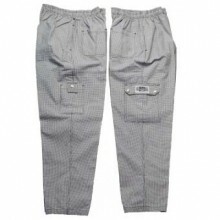 Keep your pants mess-free, by limiting amount of area exposed! 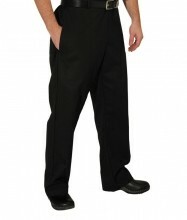 Full bib aprons or waist aprons available for servers, cooks, and dishwashers!